Overall a really fun race. Great course, great beer, lots of people, well organized, fun theme. I can't wait for the second race in this Thirsty Three series. I will say there were lots of people that did this race for the beer and medal that are not people who race often so you need to keep that in mind if you run this race. Registration was very simple for the race. I actually registered for the Thirsty Three series with this being number one. Running Fit makes it simple. They also have a website just for the Hightail to Ale race where all information was clearly spelled out. In addition, there were several emails keeping runners informed. Nice job! The race had two options. You could pick up your packet the day before the race or you could pick it up race day. I decided to make the drive over to the Northville Running Fit store to pick my packet up early. I wanted to check out Hokas there too but they didn't have what I wanted to try. Packet pickup was from 4-7pm the day before so I went right after work. Coming from Troy, I made a huge mistake. I should never have bothered coming early because traffic was ridiculous and not worth the drive out there. Live and learn. The race also did a raffle for runners who showed up. I was only one number off winning something - darn! It literally took 60 seconds to get my packet. They had things very organized and I was able to walk right up and get my packet. You could also pick up your packet race day before the race. I actually left work early to get down there but traffic took longer than expected. Race day packet pickup also looked really simple as there was nobody waiting and it was only a couple block walk from where I parked. Speaking of parking, I parked in the Chene St. lot on race day, a designated lot, and there was a scammer there collecting $5 for parking. Running Fit was not charging for parking and as soon as they found out, the police showed up and the guy took off but I'm guessing he got $100 or more from innocent people. Hopefully it was good liquor he bought with my money. Seriously though dude, go get a job! To be fair, I did park in the lot an hour before the race said it opened so I had no clue he was scamming people. I also thought it was odd that the race didn't say anything about paying for parking so it was my mistake. Lesson learned. Race day pickup was right next to the Atwater Brewery and things were again very organized. They had bib numbers placed on the fence in case you didn't get your number via the email the race sent out. From there, the tent was set up with packets. While I love that they had two options to pickup, next year I would just go race day. The start area was very organized. 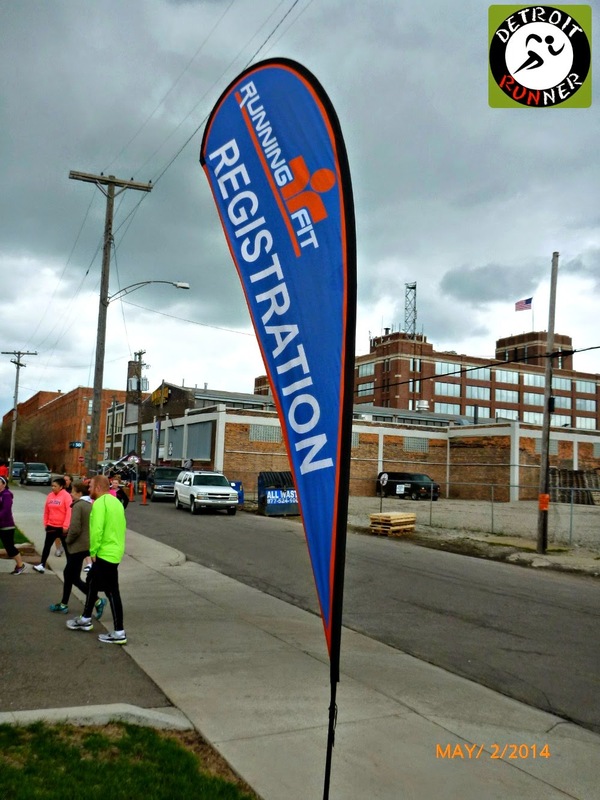 They had two streets used for starting and finishing and a parking lot where the packet pickup was located. Before, there was time to have a beer if you chose to at the brewery inside plus they had a tent set up outside too with draft beers of you choice - all Atwater of course, for $3 each. As we got closer to race time, it started to get extremely busy in the brewery and outside as well. Even with the amount of runners, almost 4,000, it was still very easy to move around. There were plenty of port-o-potties for the crowd with a long line of them. Much needed especially if you were drinking beer. Lol. There was an insane amount of runners behind us. Check out that crowd! They made a couple announcements for course direction and we were ready to go. I'm not sure why it is but Running Fit is fairly sporadic on the National Anthem and they skipped it for this race. It seems like something that needs to be added to the list so it's more regular at their races. I'm a traditional kind of guy like that and I like starting with it. People behind me at Start - wow! The race said go and we really went out fast. I hate 5k's! They hurt! 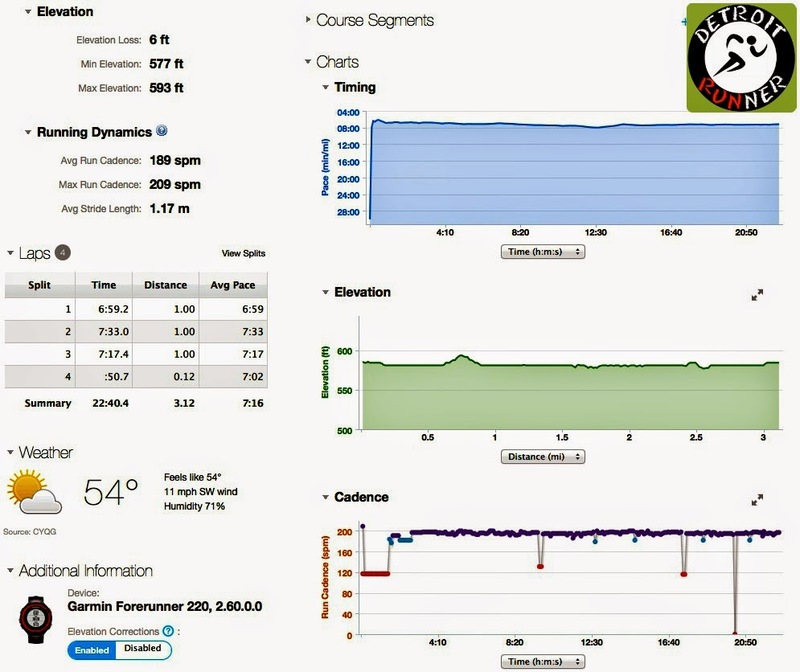 As I said, I started with about the 7:45 pace runners and, as you can see, finished the first mile under 7 pace. It was crazy fast for me even with the turns in the road. I settled down a little but still really pushed the pace for the other two miles as well. I was definitely racing this 5k and that was not even the plan - this was supposed to be a fun run for me. I probably should not have done that considering I was running a half also on Sunday. Oops. As you can see, it was a bit crowded in the beginning but the race did do a wave start which I thing dramatically improved the quality of the race and crowd. I felt they did a good job keeping the paces where they should be and didn't feel like I had to pass too many people. Before we knew it, we were already turning a corner. I actually like turns in races because I don't want to see miles ahead of me. Of course, this was just a 5k so you were not going to see too far ahead anyway. We made our way through the warehouse area which has an industrial feel to it. While nobody likes to see crumbling buildings, I do like the character of the area and there are some new buildings mixed in with old ones. They had a band called Lemon James playing on the course. They were in a good spot too because we got to see them on the out and back of the course. Next was onto Atwater street where we got an awesome view of the Renaissance Center, General Motors headquarters. We took this all the way past the Ren Cen through to the Port Authority. I really enjoy this route of running downtown Detroit since you get an industrial feel and waterfront too. I even got to see Coach Ken(he is the marshal in the picture below) and he got a picture of me running. Ken is a professional volunteer - he's at everything! Lol. 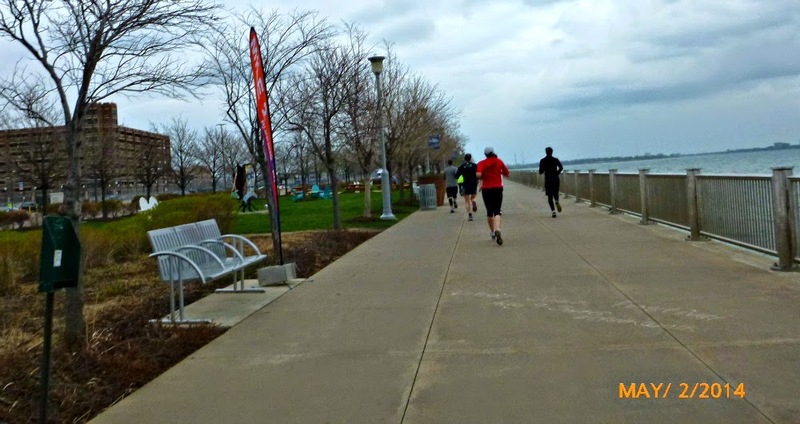 We continued to make our way down the street and passed just where the Dequindre Cut starts which is also a nice route to run but today was not the day for that. The police were out in full force as well as some Port Authority police too. It made for a very safe route for the runners. The building below is really cool looking and I hope when it gets worked on that they don't tear it down but instead renovate it so it keeps the charm of the building. Before we knew it, we were already at mile 1. That was fast! As we got closer to the Ren Cen, you can see that the area is being renovated as newer buildings are more common. The turn around is going around the Port Authority building and heading back on the waterfront. It's a very nice course. While there are many similarities to this course compared to the Mustache Dache and the Auto Show Shuffle, there were some slight differences. Of course, the Auto Show Shuffle starts at the Port Authority and goes on the Dequindre Cut and the Mustache Dache starts and finishes on the same street. I will say that this course was set up to handle more runners which frankly was a concern for the finish. I'll explain more in the finish area of the review. One of the best parts of this course is running on the Riverwalk which is a crown jewel of the City of Detroit. It's so much fun to run this! We also ran through the State Park here too which is really a very nice, well kept area. The State does an awesome job keeping it up. As we continued, I got a picture of the the massive crowd that was coming up from behind. The park was working on this newer area so the grass was not even grown in yet. Of course, leave it to Running Fit to find the one hill in Detroit! Ha! After the park, we ran back to Atwater where you could still see walkers on the course. They even had a final police car sweeping the course. I saw a guy in a boot, as in a broken foot, who was walking just before the police car. Wow! We turned the corner and passed mile three as well as saw the band playing again. The last turn was almost at the finish. You had to be careful here because the streets were filled with potholes and old cobble streets. For most races, I would not like it but it adds to the character for the area. At the finish, they had the Thirsty Three sign up on the finish line banner. I was toast and gave it my all but was still off over a minute from my 5k PR. There were no aid stations on the course. It seems to me there should be one for the 5k but it seems to run 50/50 if there is an aid station or not for 5k's I've run. I personally would not use it but could see many wanting one. I think it would have been a fun idea to have a beer station but, of course, that costs money to set up. The race had a first aid tent set up right at the finish. After you crossed the finish line, there were volunteers handing out bottled water to runners. You then received your race medal from a volunteer. As you can see, the race had the medals ready to go on the tables for volunteers to grab. 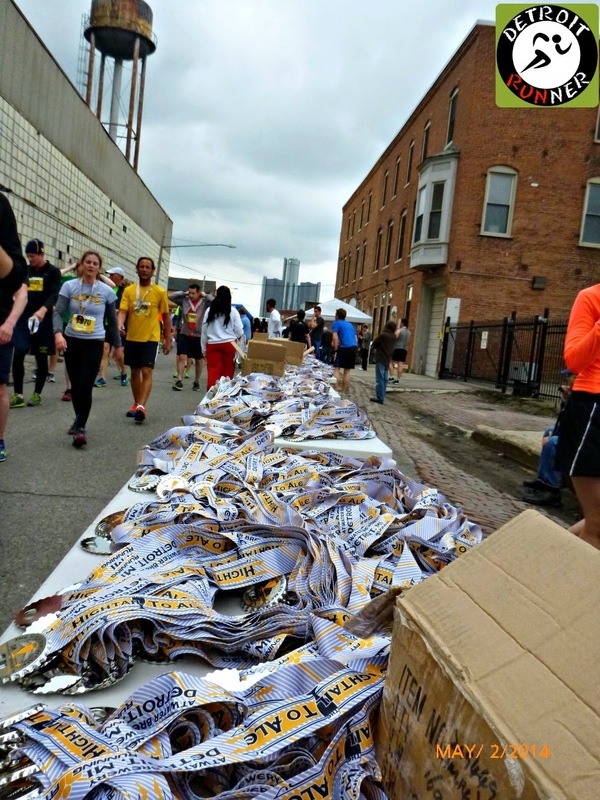 Unfortunately, many runners decided they should get more than one medal and took some. I didn't see anyone take them off the table but the race ran out because of people stealing more medals. Not only is it rude but it is stealing!! The race said they will make good on all the medals for people who did not get one but how disappointing for people to do this. Where have the ethics gone in this world? It seems to me the race will need to plan better for this for the next race so this does not happen again. They need to secure the medals better so only the volunteers have access to them. After you got your medal, they also gave you a bag of pretzels. This was a nice bonus because I figured that if you didn't pre-order food as the race showed on their website, I didn't think that you were going to get anything but a beer. Past the pretzel station, you made a turn into the brewery. They pretty much had everyone out of there so the runners could come through it in order to get your beer. I figured they were going to do draft beers inside and this would be a huge bottleneck. 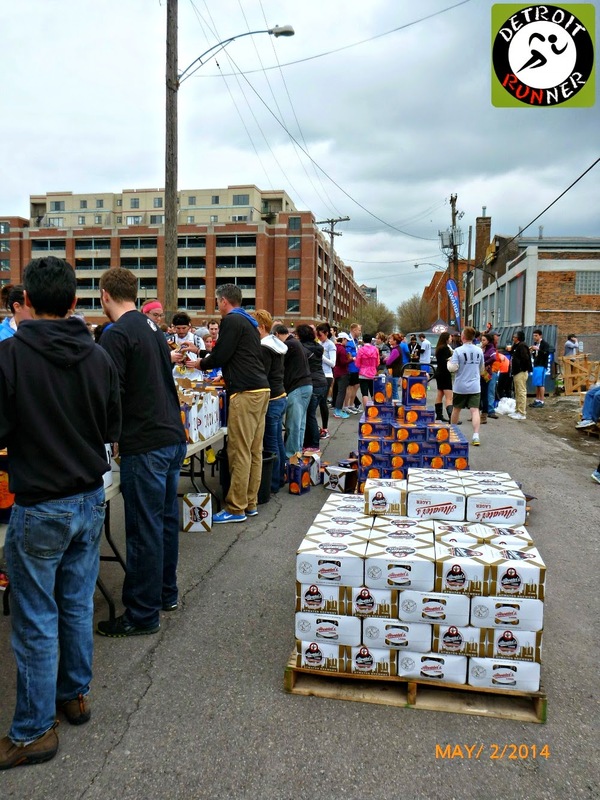 Instead, you walked through the brewery to the other street and there the had volunteers handing out beers in cans that you exchanged with your beer ticket that was on your bib. This was a fantastic idea and it really kept the crowd moving smoothly overall. It certainly made me understand how they could handle almost 4,000 runners for this inaugural event. Above, as you came out of the brewery, there was a band playing as you were waiting to get your beer. An extremely well thought out finish area. For your race entry($34), you received a chip timed 5k course with volunteers and police support. There was a QR code on your bib so you could check your results but mine didn't work since there was a hole in it for a safety pin. It looks like some of the bibs were made differently so it worked on their bibs. Results could also be searched on their website so I was still able to get my time before I even left the race. 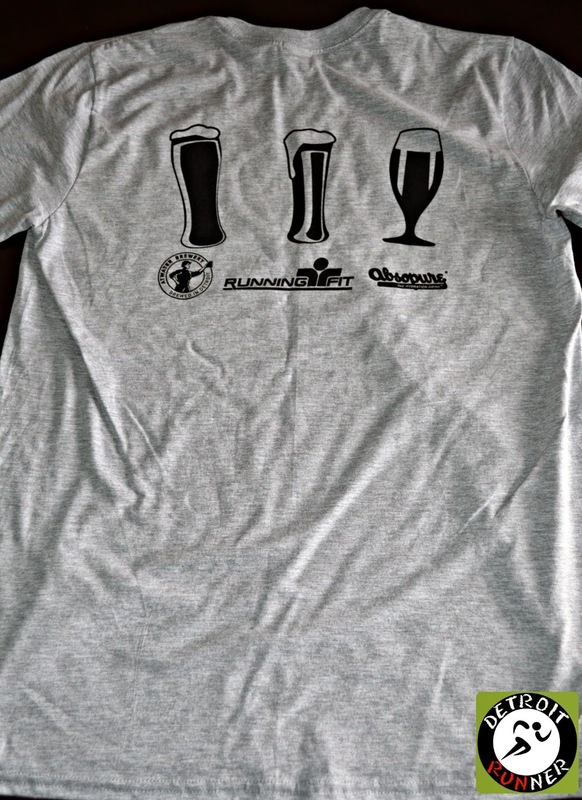 In addition, you received a finish line beer and Atwater beer is awesome! 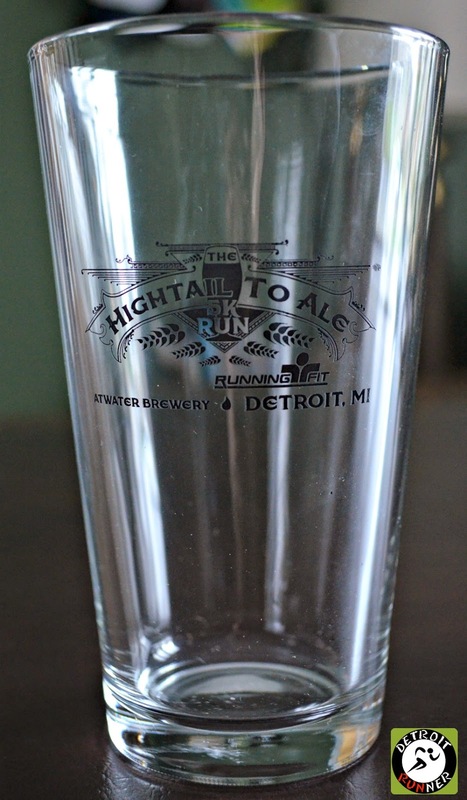 The race also included a race glass with the name on it. While Running Fit usually does these glasses as finishers glasses, this time they didn't do it that way and instead gave them to people at packet pickup. This is a great idea and they should do it this way for all their races where they give out glasses. It kept runners from breaking their glasses. You also received a cotton shirt and, frankly, I'm really happy to have it versus a tech shirt since I have so many. First I really like the grey color and the logo of the race is really nice too. In addition, as with many Running Fit race shirts, they are not plastered with tons of sponsors on the back of the shirt. Runners also got a race pin which is a signature item for Running Fit races. Finally, you received a finishers medal. Yeah, for a 5k! It's an incredible design as a beer bottle cap as well with it including a real bottle opener built in. The race also put its name on the ribbon. It's one of the best medal designs I've received for all my races and a very creative idea. It's also my first bottle opener medal. Organization for the races was very good. The start and finish area were very well planned and was really set up to handle the huge crowd they had for this race. The course was organized with course marshals and police and it came in at 3.12 on my GPS. The after party area was well planned. The website and emails provided excellent communication. The race acknowledged the medal issue of running out(even though they ordered enough due to dishonest people) and stated they would get everyone a medal that did not receive one. I was really surprised how well they were able to control the crowd and finish line area. An excellent race for this inaugural year. As I've always said the race management company makes a huge difference in how things are handled and Running Fit, with the exception of a couple minor things, organized a superior race event once again. As one would expect the beer theme is a huge draw for runners and they picked a great venue. 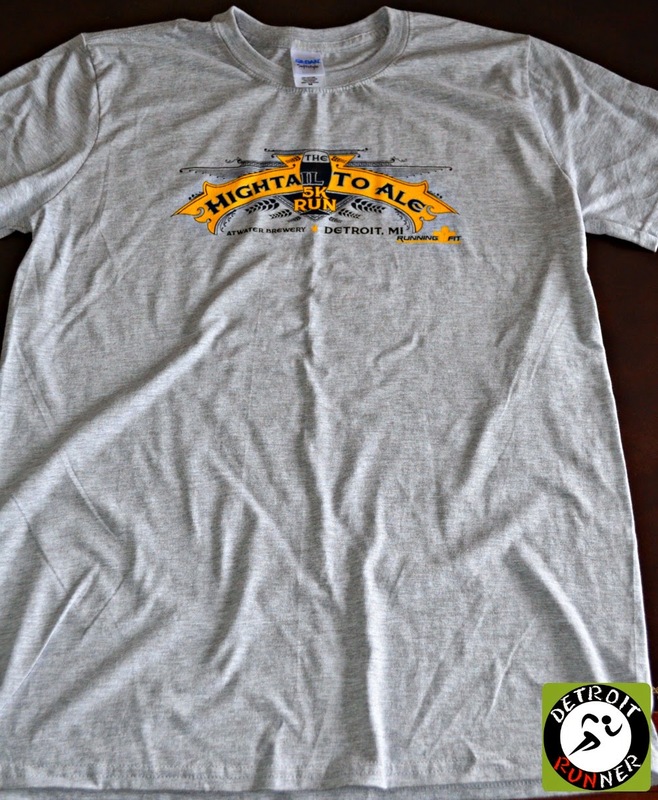 This is certainly one to add to your list especially if you like to drink beer and run. I can imagine this one is going to grow dramatically over the years as they sold out in their first year so next year be sure to sign up early. Note: I paid for entry to this race myself. All opinions are my own. I did see bibs with two configurations - mine had the pin hole through the QR code so the beer coupon was able to be detached without unpinning, but I helped another runner (who had put hers on her back) whose bib had the pin holes through the detachable beer coupon, so I had to unpin the bottom of her bib to rip it off. Someone must have caught the problem part way through printing them, and I have to assume my way was the "right" way since I had a higher number (it seemed like the bibs might've been alphabetically numbered?) and since I've never seen pin holes through a detachable tag before. Plus, I didn't have any problems scanning my QR code even with the hole in it. I had a great time, even though it was super crowded back in the middle of the pack...it just seemed very laid back (maybe cause of the beer :) ) and I enjoyed running through the Riverwalk. I was glad I had my windbreaker, though, since I came prepared for temps in the 50's with a sleeveless top on, and the wind (maybe because we were so close to the river) made it a lot nippier than I expected. Lemon James is also a fast runner! Unfortunately, we are in the same age group and she beats me every time!